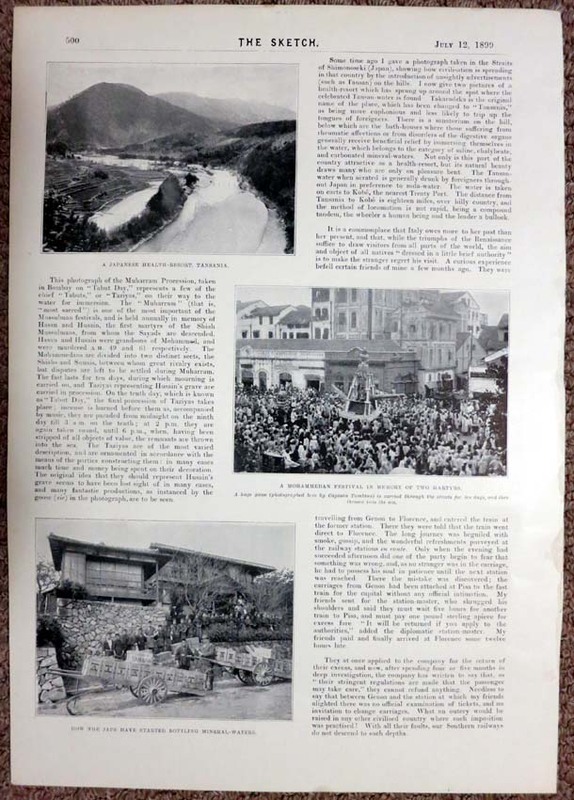 I now give two pictures of a health-resort which has sprung up around the spot where the celebrated Tansan-water is found. 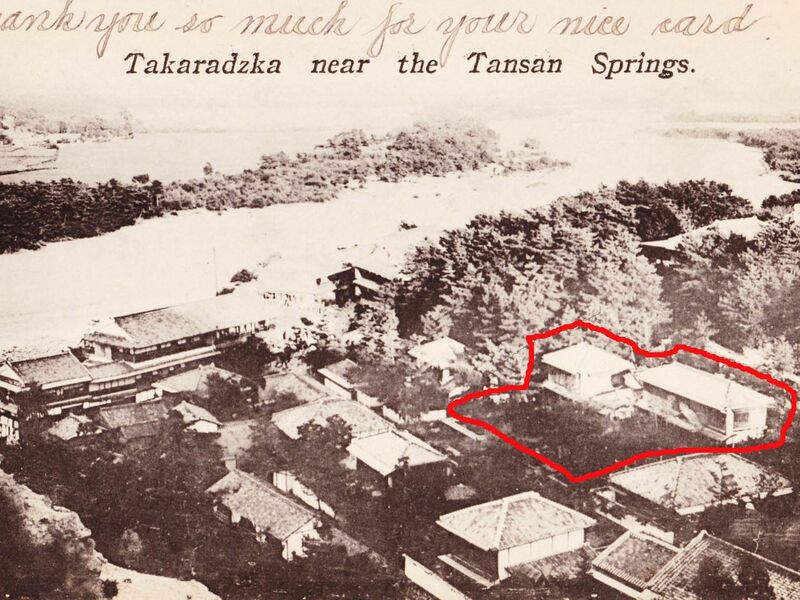 Takaradzka is the original name of the place, which has been changed to "Tansania," as being more euphonious and less likely to trip up the tongues of foreigners. 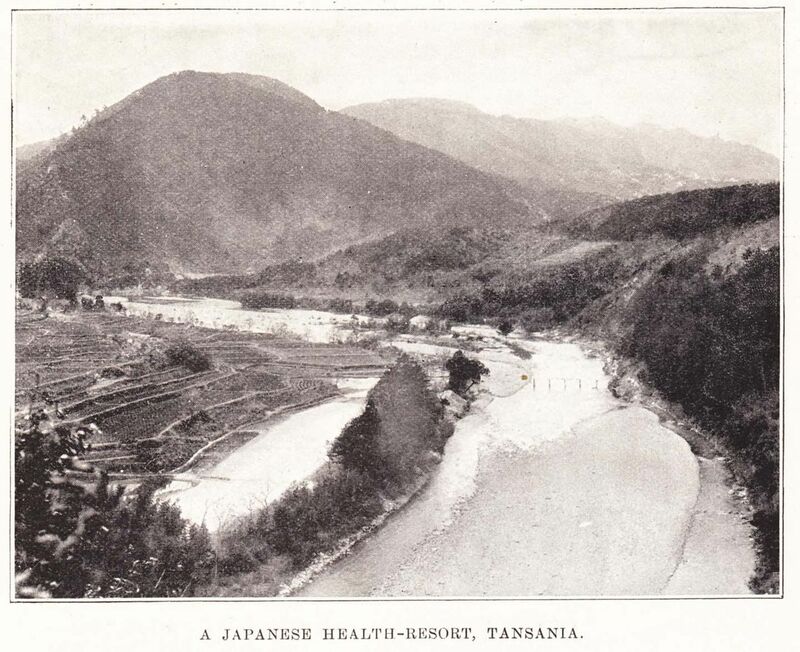 There is a sanatorium on the hill, below which are the bath-houses where those suffering from rheumatic affections or from disorders of the digestive organs generally receive beneficial relief by immersing themselves in the water, which belongs to the category of saline, chalybeate, and carbonated mineral-waters. Not only is this part of the country attractive as a health-resort, but its natural beauty draws many who are only on pleasure bent. 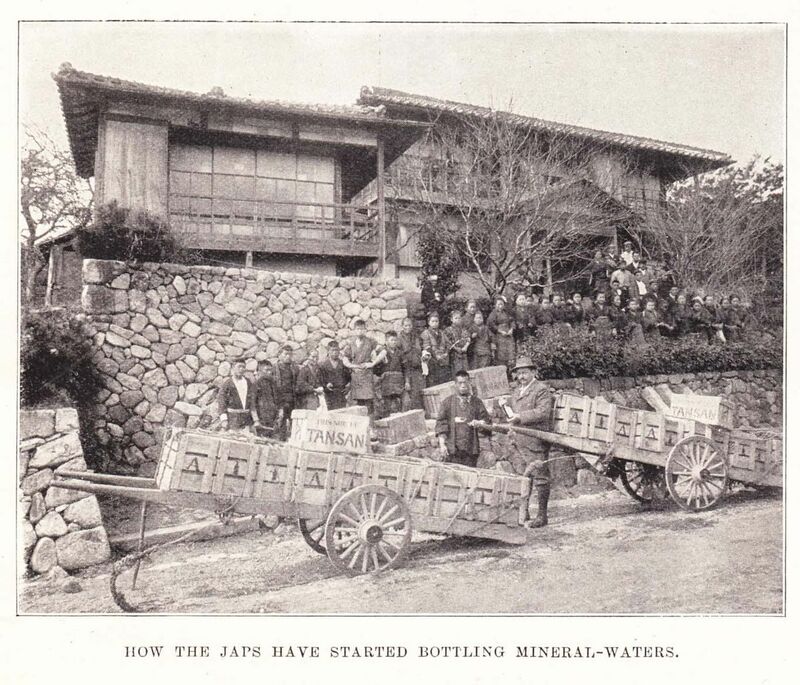 The Tansan-water when aerated is generally drunk by foreigners through-out Japan in preference to soda-water. 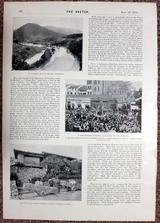 The water is taken on carts to Kobe, the nearest Treaty Port. 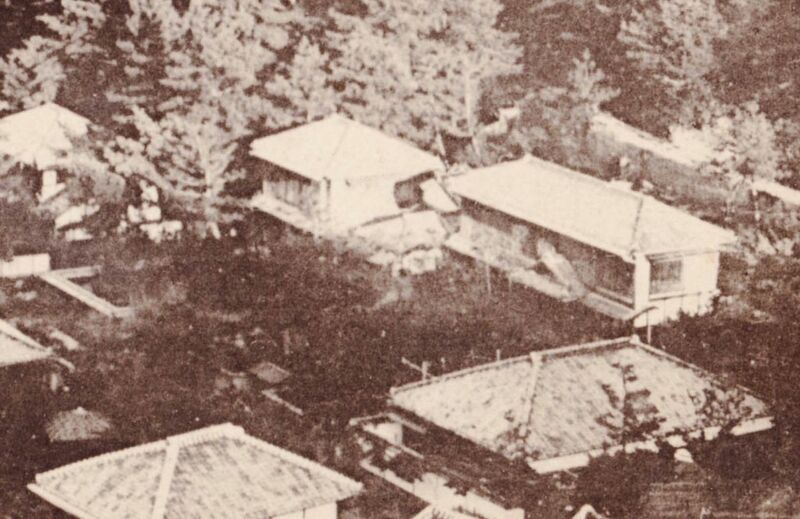 The distance from Tansania to Kobe is eighteen miles, over hilly country, and the method of locomotion is not rapid, being a compound tandem, the wheeler a human being and the leader a bullock.